Still going through my untrieds and hope to keep doing it! I finally had the chance to get them out of the moving box (shame on me for taking 2 months to free them) and OMG!!! I got some great taste in polish! hahaha.. I love seeing all these beautiful polishes I bought with love but haven’t been able to use yet. 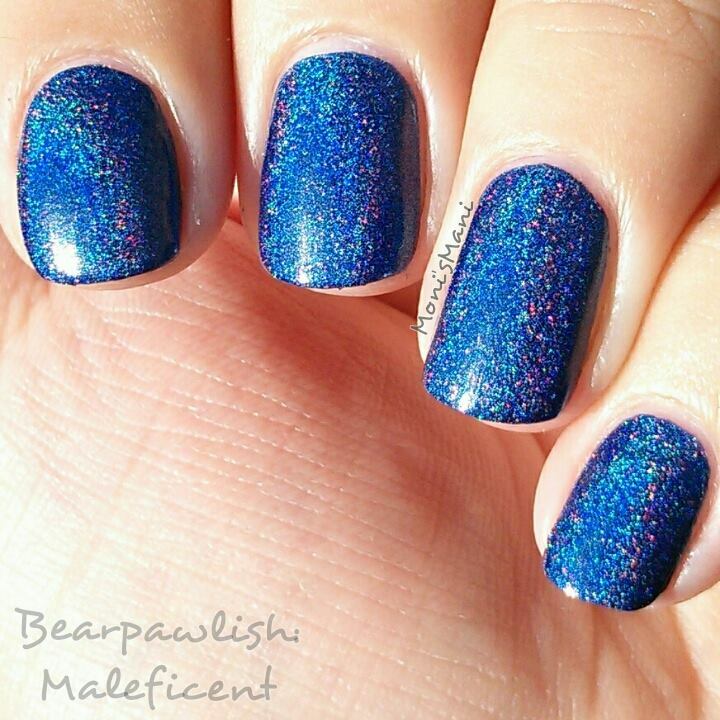 So, today I’m going to talk to you about two Bear Pawlish polishes I hadn’t tried yet. Bear Pawlish is a brand I got into when I first started my love for polish, I have 5 polishes 2 of which I won at a giveaway. In this post I’ll show you Maleficent (purchased by me) and Divine Wine (won at the giveaway); let me introduce them one by one. *Maleficent- I love blue!! I think I’ve made that pretty clear in many occasions. When I saw this back in the day the swatches looked amazing and I absolutely fell in love with it! Unfortunately when I finally got it on my nails many many months after purchase, I didn’t see the holo that I was expecting. 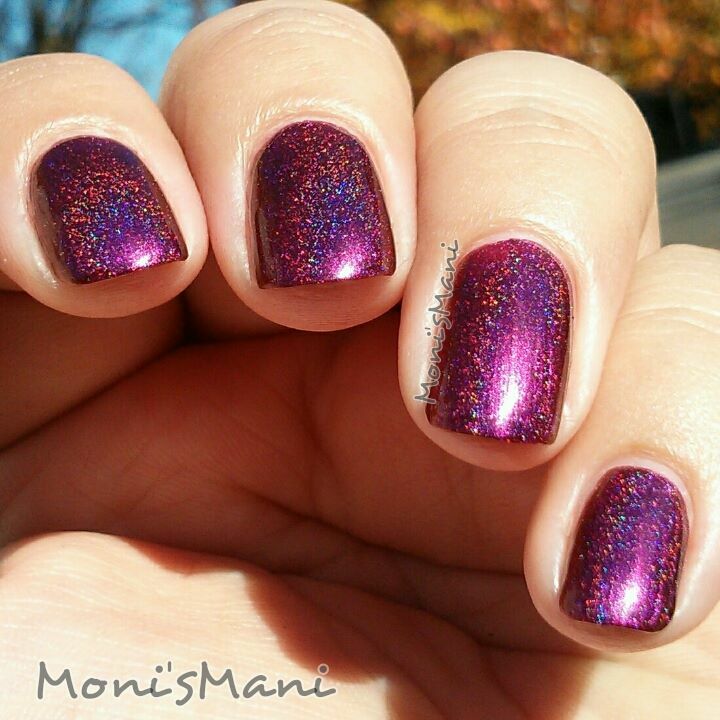 The color itself is gorgeous and full of shimmer, but the holo is quite subtle even in direct sunlight. Even outdoors on a sunny day I wasn’t able to see the holo I was expecting let alone capture it with my camera. I did finally get a good pic after moving around and trying many poses and positions. Would I buy it again? I’m not sure. 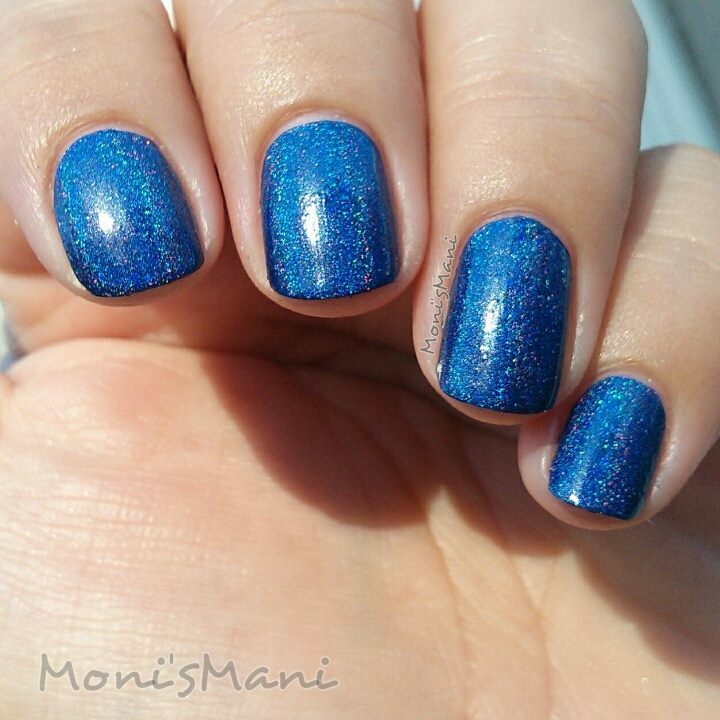 If I were looking for a gorgeous blue with a holo hint yes! I would. If I were looking for a pow in your face blue holo? no, I probably wouldn’t. 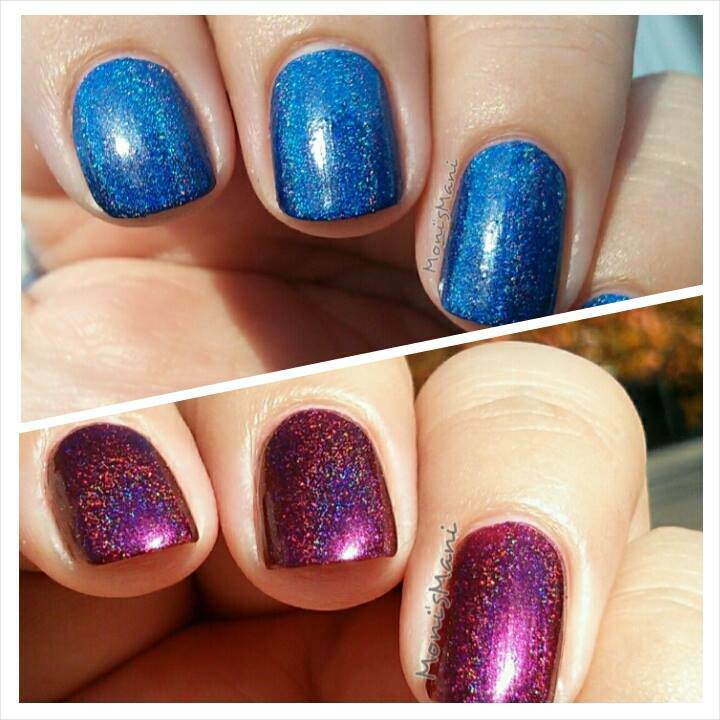 Here are the pics both outdoor and in direct sunlight, two coats and no top coat. *Divine Wine- This little guy I won on a giveaway. Again the swatches were beautiful So of course, I fell in love! 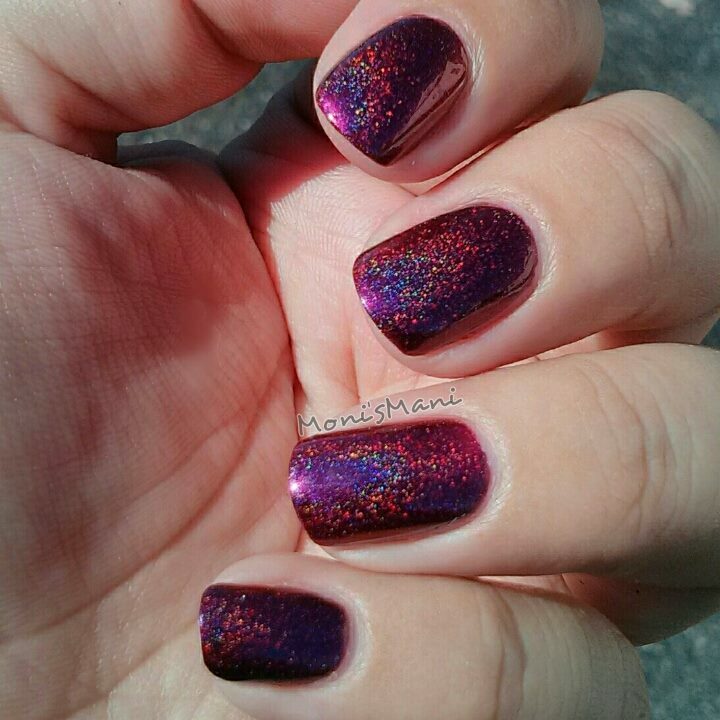 When I put it on last night I was a bit disappointed as the polish base looked plum-y instead of the burgundy I was expecting but of course we all know holos come alive in direct sunlight so I waited. When I went out this morning OMG!!!!!! did I get smacked in the face with the holo! WOW!! 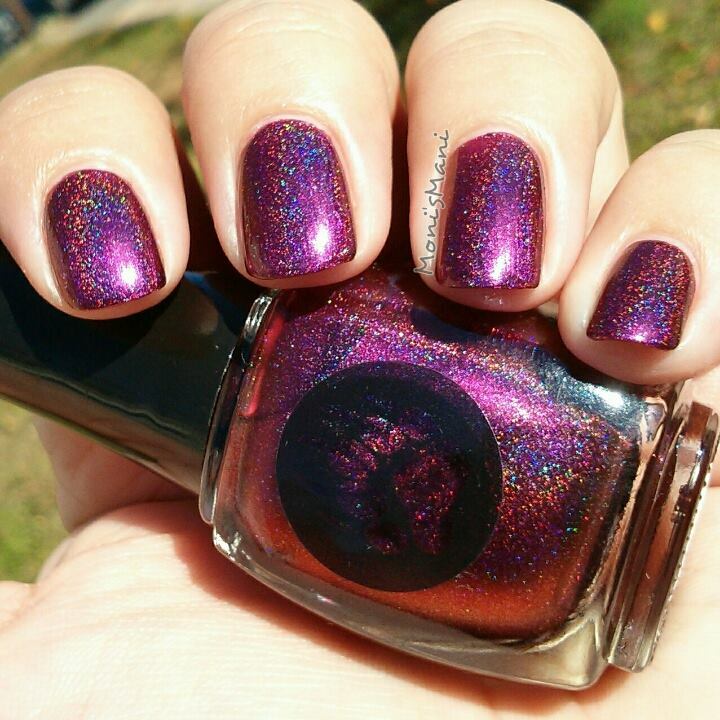 the base is absolutely gorgeous, the deep burgundy wine I was expecting.. and the holo is beautiful! So happy I gave this guy the second chance! In the pics you see two coats with no top coat. Thank you so much for reading this!!! Please let me know what you think and which polish is your fav.